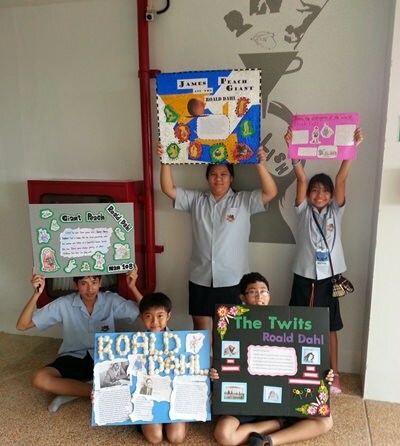 Students at Garden International School (GIS) had a spectacular day celebrating the works of children’s author Roald Dahl. 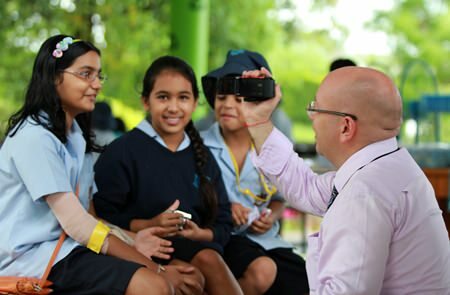 Roald Dahl Day was on September 13 and is held around the world to honour the writer who wrote Charlie and the Chocolate Factory, Maltida, BFG and many more classics. Languages Prefect Pam organised the day’s events, which included poster competitions and short story challenges in Primary and Secondary. 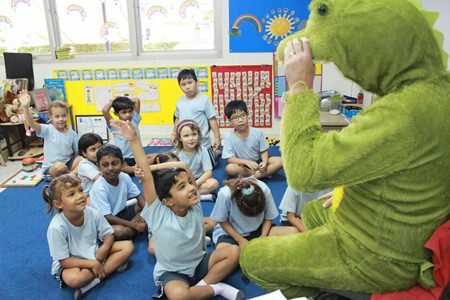 A giant, friendly crocodile also wandered in to some classes to say hello to students. 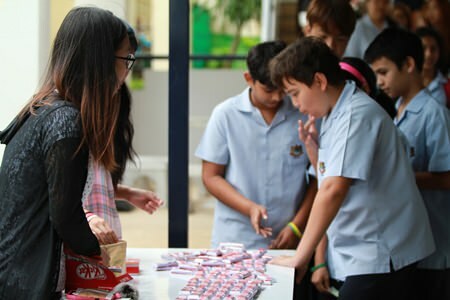 At break-time, students bought Kit-Kats knowing that inside were five lucky golden tickets – just like in Charlie and the Chocolate Factory. 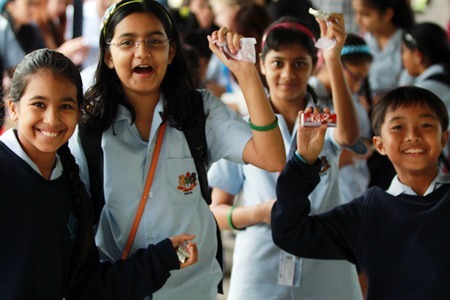 This was so popular that the 600 Kit-Kats were sold in just 20 minutes. That raised around 4,000 baht, which will be given to the Anglo-Thai Foundation (www.anglo-thai.org) which helps underprivileged children from north-eastern Thailand with education grants. Well done to Pam for creating such a fun and worthwhile event! What’s your favourite Roald Dahl book? Head of English Mr Beales interviews students. 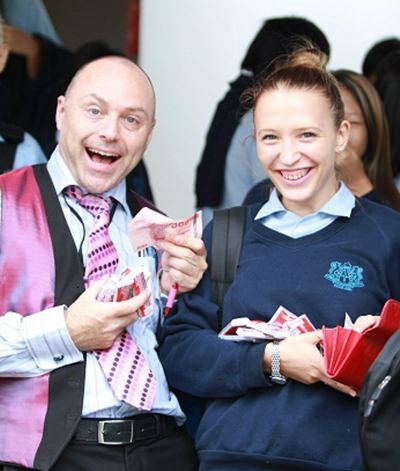 English as a Second Language (ESL) teacher Mr Carson also introduced his language students to the world of Roald Dahl by buying them cups of tea (a very English tradition) in the canteen and letting them read their favourite Roald Dahl books. The competition winners were: Primary poster: Octavia; Primary short story: Adenor; Secondary short story: Seren; Secondary poster: Nan. A friendly crocodile strolled into some Year 2 classes. Head of English Language Support Mr Berry enjoys Roald Dahl Day. Some impressive posters were made to mark the day. That’s amazing! Students loved hearing Roald Dahl stories. Previous articleCan manual cameras give better results?